Australian Police Check, also known as National Police History Check, Criminal Record Check, Australian Criminal Record Check, Criminal History Check or just Police Check. The Australian Criminal Intelligence Commission (ACIC), formerly known as CrimTrac partners with Australian Police agencies to provide the National Police Checking Service (NPCS). Each police jurisdiction, in conjunction with court records, collect Police History Information (PHI)within their own legislation and via their own systems and processes. This information is passed on to ACIC to be searchable and stored in a central database. The NPCS facilitates controlled access to disclosable PHI of individuals from all Australian police jurisdictions. PeopleCheck are an Accredited Agency for ACIC and are subject to regular reviews and audits to ensure compliance. Each police jurisdiction, along with Australian government departments and private Accredited Agencies, utilise the ACIC database to source their National Police History Checks. This includes the Australian Federal Police (AFP). 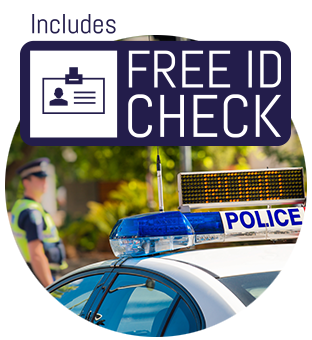 PeopleCheck are also an account holder with the AFP and can source Police Checks through this agency where a Police Certificate is required. We can discuss which Police Check is best for you in accordance with industry legislation and your background checking policy. Please note that a Police Check is different from a Court Check. Carrying out a Police Check is very quick and simple. Lodge your request via PRIVI, our online system. We contact your candidate and gather the required information. We then carry out an ID Verification Check Free of Charge! We cross check the candidate’s information for alternative names, nicknames and aliases. We then run the Police Check and in most cases we receive a result within hours. You are kept informed throughout the whole process by accessing our 24/7 365 real time reports on PRIVI. When should you request a Police Check? Working in aged care and working with vulnerable adults. If your candidate has lived overseas we can also carry out International Police Checks in the relative countries, where available. Please fill in the form below and a PeopleCheck team member will contact you to further discuss your background checking needs. A case undertaken by PeopleCheck involved a candidate who tried to avoid their criminal past showing up by providing false personal information. When completing online forms for a Police Check to be undertaken, the candidate provided a false date of birth which was identified by one of our team through the complementary document and identification review process. The Police Check result was returned with an extensive criminal record. PeopleCheck are observing more and more cases of candidate’s providing false personal information through online portals – this is why we check all personal details against ID and other pertinent information. PeopleCheck’s thorough reviewing processes ensure that attempts to falsify data are exposed so that our clients are presented with an accurate representation of a candidate’s background.  PeopleCheck are here to help, fill in your details and we’ll be in touch.